Mix the Rice with the water and leave it on the stove till the rice become cooked . thanks for the rice pudding recipe. also, your interests seeem varied and cool. well, enjoy egypt! i was going to move there this year, but now it'll just be for a visit! I wish you the best, and thank you for taking the time out to make this blog. ciao! Hello, welcome, I hope you enjoy the rice pudding. 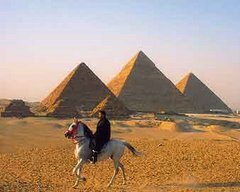 I hope you a good visit to Egypt. My Thoughts about Egypt and the Egyptian life. How many people living in egypt?